Morgan Williams Commercial have been working with Warrington & Co to monitor the on-going activity within Warrington Town Centre. Over the past couple of years Morgan Williams have been responsible for reporting Warrington Town Centre updates to Warrington & Co, in order to provide Warrington & Co with an insight into current market trends. Positive changes have been seen over this period with Town Centre vacancy rates dropping remarkably. Interest in commercial property has increased, demand levels have increased and after “bottoming out” of rental levels they have shown some recovery for the first time since 2008. Morgan Williams calculates that the current vacancy rate within the Town sits at approximately 13%, this is the lowest level since 2008 and compares favourably to the current UK average of 11.2%. Other studies report Warrington’s vacancy rate at 16.7% for 2016 although Morgan Williams believes that this still includes the now demolished sections of the market. 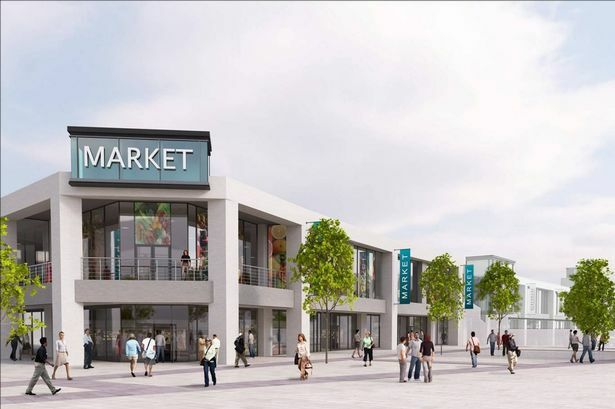 The new market redevelopment has already helped the Town Centre greatly .Many of the vacant premises around the old Time Square have now been demolished to make way for the new development. The tenants that were located at Time Square have relocated and taken up vacant space in other areas of the high street, this has increased pedestrian flow to these areas and has attracted other occupiers to the Town Centre. Town Centre retail areas such as Buttermarket Street, Horsemarket Street, Sankey Street and Market Gate have seen an influx of new tenants which has improved the overall appearance of the Town Centre. Bridge Street is still an area of concern but once the new market development is completed, with a new entrance fronting Bridge Street in the building formerly occupied by Boots, landlords and agents are positive that an increase in pedestrian flow to the area will lead to more demand for the vacant units on Bridge Street. There are underlying issues with many of the units on Bridge Street for example long leases to companies that are now no longer trading. The long overdue business rates re assessment will also hopefully bring the rating assessments for these Town Centre properties to more manageable levels and thus offer some relief to occupiers and some incentive to future occupiers. Read more on the redevelopment of the Town Centre on the Warrington & Co website. Above gives an artist impression of how the new Bridge Street will look, from this Manchester Evening News article. Corresponding to the positive news around Retail vacancy rates there has also been a move by landlords to convert previously underutilised upper floors of retail premises into residential property in order to help with the demand for housing supply within Warrington. There has also been considerable investment in vacant office and retail premises on the outskirts of the Town Centre, areas like Cairo Street, Wilson Patten Street and Museum Street have seen a hive of activity to bring derelict properties back to life. Morgan Williams estimates that over £10 million has been spent by private landlords over the past 2 years on improvements to these areas. We believe that by bringing more people to live in the Town Centre this will create a more vibrant atmosphere, a place where people would like to work, eat and socialise. Over the next few years the current and further Town Centre developments proposed will make it unrecognisable from the recent past. A view down Cairo Street, 18 months ago, and now. Image from Google Images Approximate date January 2015. As you can see from the above image, just 18 months ago the junction of Cairo Street and Rylands Street was awash with various agents For Sale/To Let boards, the areas redevelopment with new residents and retail occupiers returning to the area. Morgan Williams predicts exciting times ahead for Warrington, especially within the Town Centre region.